use this Website or its contents for any commercial purpose;make any speculative, false, or fraudulent reservation or any reservation in anticipation of demand;access, monitor or copy any content or information of this Website using any robot, spider, scraper or other automated means or any manual process for any purpose without our express written permission;violate the restrictions in any robot exclusion headers on this Website or bypass or circumvent other measures employed to prevent or limit access to this Website;take any action that imposes, or may impose, in our discretion, an unreasonable or disproportionately large load on our infrastructure;deep-link to any portion of this Website (including, without limitation, the purchase path for any Products) for any purpose without our express written permission; or"frame", "mirror" or otherwise incorporate any part of this Website into any other website without our prior written authorization. You acknowledge that we pre-negotiate certain rates with Product suppliers to facilitate the booking of reservations on your behalf. 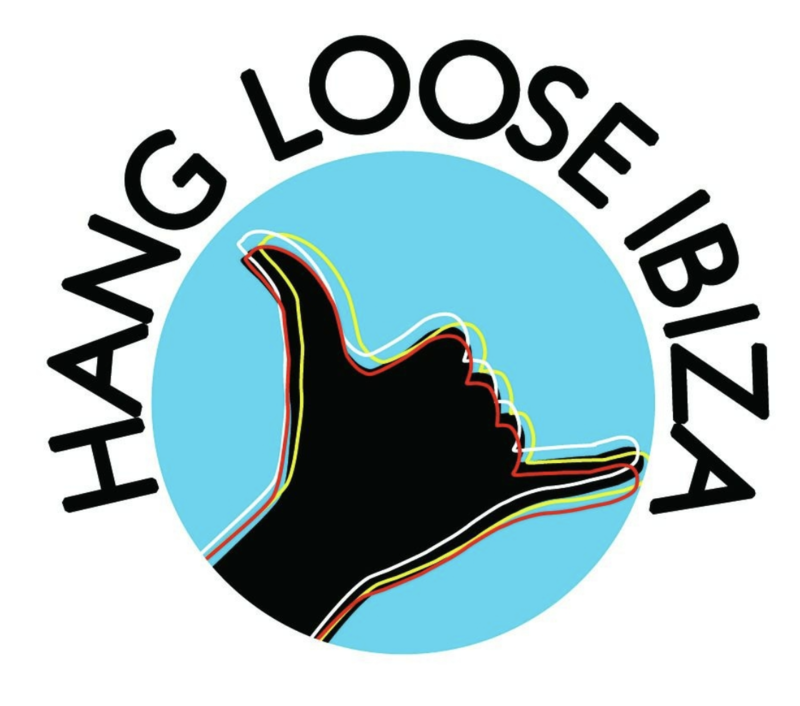 The rate displayed on the Website is a combination of the pre-negotiated rate for the Products reserved on your behalf by us and the service fee retained by HanglooseIbiza to compensate us for our services. 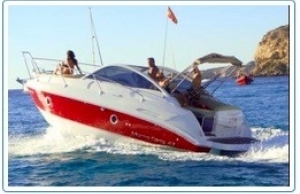 You authorize HanglooseIbiza to book reservations for the total reservation price, which includes the rate displayed on the Website, plus tax recovery charges, and service fees. 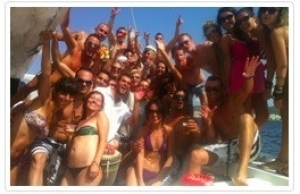 You agree that your credit card will be charged by HanglooseIbiza for the total reservation price. Upon submitting your reservation request you authorize HanglooseIbiza to facilitate reservations on your behalf, including making payment arrangements with Product suppliers. 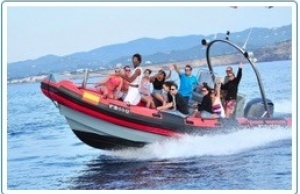 You acknowledge that HanglooseIbiza does not collect taxes for remittance to applicable taxing authorities. The tax recovery charges on prepaid Product transactions are a recovery of the estimated transaction taxes (e.g. sales and use, excise tax, value added tax, etc) that Hangloose Ibiza pays to the Product supplier in connection with your Product reservations. 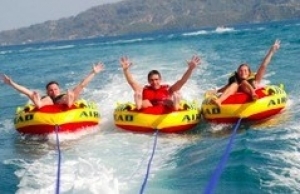 The Product suppliers invoice Hangloose Ibiza for tax amounts. 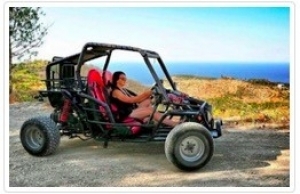 The Product suppliers remit applicable taxes to the applicable taxing jurisdictions Hangloose Ibiza does not act as co-vendors with the supplier with whom we book or reserve our customer's Products. The actual tax amounts paid by Hangloose Ibiza to the Product suppliers may vary from the tax recovery charge amounts, depending upon the rates, taxability, etc. in effect at the time of the actual use of the Product by our customers. We retain our service fees as compensation in servicing your Product reservation. You agree to pay any cancellation or change fees that you incur. In limited cases, some Product suppliers do not permit changes to or cancellations of reservations after they are made, as indicated in the rules and restrictions for the Product reservation. You agree to abide by the terms and conditions imposed with respect to your prepaid Product reservations If, despite the limitation above, the Hangloose Ibiza Companies, the hangloose ibiza Affiliates or their respective suppliers are found liable for any loss or damage which arises out of or in any way connected with any of the occurrences described above, then the Companies, the Affiliates or their respective suppliers liabilities will in no event exceed, in the aggregate, the greater of (a) the transaction fees assessed for your transactions on this Website, or (b) One-Hundred euros (100.00). The limitation of liability reflects the allocation of risk between the parties. The limitations specified in this section will survive and apply even if any limited remedy specified in these terms is found to have failed of its essential purpose. The limitations of liability provided in these terms inure to the benefit of the Hangloose Ibiza Companies, the Hangloose Ibiza Affiliates, and/or their respective suppliers. This Website may contain hyperlinks to websites operated by parties other than Hangloose Ibiza . Such hyperlinks are provided for your reference only. We do not control such websites and are not responsible for their contents or the privacy or other practices of such websites. Further, it is up to you to take precautions to ensure that whatever links you select or software you download (whether from this Website or other websites) is free of such items as viruses, worms, trojan horses, defects and other items of a destructive nature. Our inclusion of hyperlinks to such websites does not imply any endorsement of the material on such websites or any association with their operators. Any software that is made available to download from this Website ("Software") is the copyrighted work of Hangloose Ibiza , and/or our respective suppliers. Your use of such Software is governed by the terms of the end user license agreement, if any, which accompanies, or is included with, the Software ("License Agreement"). You may not install or use any Software that is accompanied by or includes a License Agreement unless you first agree to the License Agreement terms. For any Software made available for download on this Website not accompanied by a License Agreement, we hereby grant to you, the user, a limited, personal, nontransferable license to use the Software for viewing and otherwise using this Website in accordance with these terms and conditions and for no other purpose. Please note that all Software, including, without limitation, all HTML code and Active X controls contained on this Website, is owned by the Hangloose Ibiza Companies, Hangloose Ibiza Affiliates, and/or our respective suppliers, and is protected by copyright laws and international treaty provisions. Any reproduction or redistribution of the Software is expressly prohibited, and may result in severe civil and criminal penalties. Violators will be prosecuted to the maximum extent possible. Currency rates are based on (PayPal.com) should be used as guidelines only. Rates are not verified as accurate, and actual rates may vary. Currency quotes are not updated every day. Check the date on the currency converter feature for the day that currency was last updated. The information supplied by this application is believed to be accurate, but the Hangloose Ibiza Companies, the Hangloose Ibiza Affiliates, and/or our respective suppliers do not warrant or guarantee such accuracy. When using this information for any financial purpose, we advise you to consult a qualified professional to verify the accuracy of the currency rates. We do not authorize the use of this information for any purpose other than your personal use and you are expressly prohibited from the resale, redistribution, and use of this information for commercial purposes.